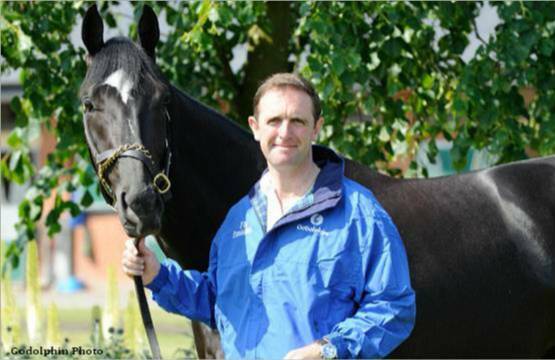 Charlie Appleby has won the prestigious International Trainer of the Year award for the third year running. The Godolphin trainer sent out twelve G1 winners worldwide in 2018, including the G1 Derby at Epsom, the G1 Melbourne Cup at Flemington and the G1 Breeders' Cup Juvenile Turf at Churchill Downs. He also enjoyed success in Europe throughout a memorable season — saddling winners at Royal Ascot, Glorious Goodwood, Arc weekend at Paris Longchamp, as well as dominating the Deauville meeting in August. “It has been an unbelievable year, and I have one person to thank for that, His Highness Sheikh Mohammed, whose ambition and passion for our sport is an inspiration to every one of us at Godolphin,” Appleby said. “I am forever grateful to His Highness for having given me the opportunity to train for him. I am also fortunate in having an excellent team at Moulton Paddocks, headed by my assistants Marie Murphy and Alex Merriam. Their skill and dedication, plus the hard work of the entire team, have been major factors in the Godolphin success story this year,” he added. The International Trainer of the Year award, presented in London, is sponsored by the Newmarket-based International Racing Bureau and honors the trainer who has made the biggest impact globally throughout the year. This entry was posted in People and tagged alex merriam, breeders' cup juvenile turf, charlie appleby, epsom derby, Godolphin, international racing bureau, international trainer of the year, marie murphy, melbourne cup, Royal Ascot, sheikh mohammed by Press Release. Bookmark the permalink.